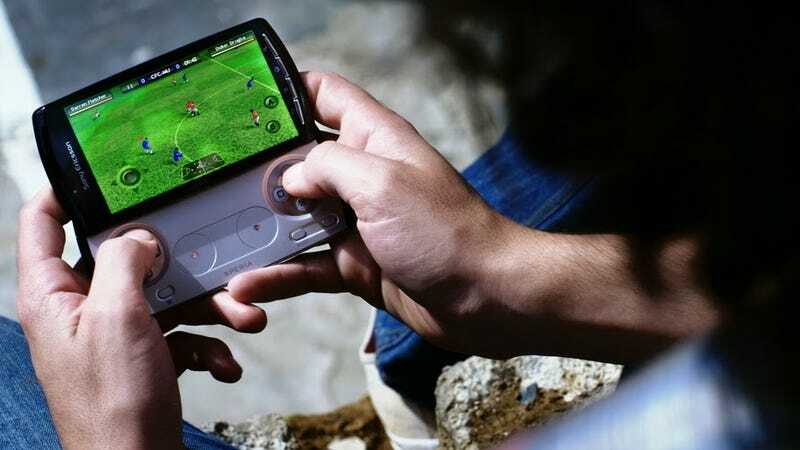 You've read the news and seen the videos, now it's time to dive deep into all of the specs for the Sony Ericsson Xperia Play, like that it can game for 5 1/2 hours on a single charge and its resolution. The device will come in black or white, and work on a surprisingly large list of cell networks, according to the release. The 4-inch screen is a 16,777,216 colour TFT with capacitive multi-touch and 480 x 854 pixels (FWVGA). THe device will ship with a battery, stereo portable handsfree headset, 8GB microSD memory card, charger, micro USB cable for charging synching and file transfer and the user manual. Battery life, right next to price, is one of the more important things we love to know about a new bit of gadgetry when it hits. ** Requires Facebook™ application installed on the device. Thoughts? Is this an iPhone killer? A Windows Phone 7 Killer? The Killer Android?